We love beautifully made print books. There’s something wonderful about holding a hefty, collectible book in your hands that you can pick up, flip through, and come back to whenever you feel like it. 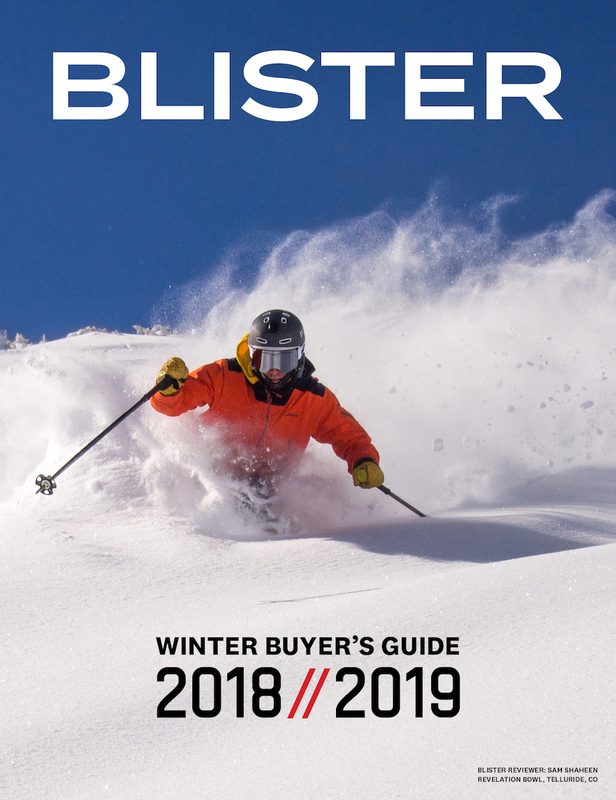 We’ve been sent a lot of photos of our Buyer’s Guides gracing the coffee tables of passionate skiers all around the world, and it gets us every time. So if you love print, become a Blister member now to guarantee that you get a copy, or purchase the guide by itself while supplies last. The print guide is $9.99, and will ship out mid October. I really love your Reviews and comments from powderhounds for powderhounds move on and looking fwd to whats going to come. As I’m Bavaria (Germany ) based I desperatly wait for SNOW!! best gear guide out there, great work! A little curious when you compare the different skis. In the group All-mountain more forgiving the Sakana 174 didnt place that well vs many other skis in deep snow performance despite that they should perform better the average for the same waist width. Any insight that I have missed? I am an expert skier (180lbs) with 35+ yrs experience and a very aggressive style. I try to ski mostly on bumps or powder (or both) but Ive not bought my own skis in many years and am now looking to buy something that would do well in either (if possible). I would probably pair these shift bindings and would also lean toward a narrower waist for quicker turns on bumps, couloirs, trees etc. The choices these days a pretty overwhelming but Rossy Sky 7 have caught my eye, but then again so has the Enforcers, the Kendo, Head Cores, Navigators, J-Skiis and others! Any help in choosing would be much appreciated . Check out the new volkl mantra five and if you want something to blow through trees and play on check out blizzards rustler 10. Ditto. With one caveat. I love the pop! So bumps and deep pow pow with big pop! how do i enter to win ski poles? -how do you define beginner/adv. Intermediate, expert etc? -how is a „playful“ ski different construction wise? -is „playful“ harder or easier to ski for a beginner/advanced than a „normal“ ski? I would love to get Some new ski’s! Im in Austria for 5 months because im a ski instructior and I am using skis everyday! I feel obligated to reach out and say THANK YOU for writing such detailed, accurate reviews of the gear you test. I recently purchased a set of K2 Ikonic 84Tis. I never got a chance to demo them but demoed/rented very similar skis in the past. Between speaking to K2’s customer service and studying your review, I made the purchase. Seriously. Could not be happier. You were spot on with the skis performance in powder. Just had them in 8-10” of fresh Upstate NY lake effect, and they just absolutely ate it up. So stoked. Thank you!